HCACP PE: Year 10 Athletics - Superstar Sadia Steals the Show, despite being in year 7! Year 10 Athletics - Superstar Sadia Steals the Show, despite being in year 7! 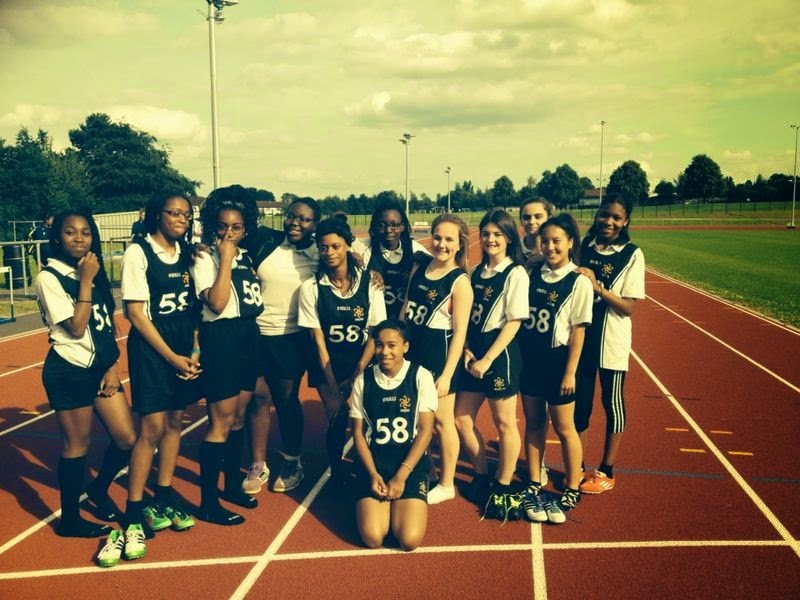 The Year 10 athletics team & last minute sign up, Sadia Kabeya from year 7 attended a friendly athletics fixture at Woodcote School in preparation for Federation Sports day. Excellent results from all, but a special mention to; Lauryn John-Greenwood (1st Hurdles & Long Jump), Sadia Kabeya (1st Shot putt), Adia-May MacHeny and Celeste Edwards (joint first in High Jump) and Jasmine Murray (1st Discus) for winning their events! Things are looking promising for Federation Sports day!